One underestimated (in my opinion) dividend of being unemployed, “on the bench” as we call it in the consulting industry, is time. Freed from the constraints of a workaday routine, I can more or less decide how, when and where I spend it. This is not to say there is not a tremendous amount of work to be done. Indeed, I feel sometimes as if this is a more resource hungry endeavor than any job I have ever had. While the search takes on a great deal of importance, I think the way I choose to go about it and the other activities I have undertaken during this time, say much about how I like to work and what things I am most passionate about. I find the most rewarding and fruitful way to pursue this search is to just talk to people. Some may be able to help me directly with specific goals, others may not, but this is not the point. As children, most of us instinctively understood the joy of making new friends simply for its own sake. For many in high-intensity careers, it begins to seem as if the only reason for communicating with someone else is to gain some resource or advantage for professional advancement. This is short-sighted, transactional, and leaves much on the table. When I talk with someone, whether an old friend or someone I have just met, and regardless of whether we have common professional interests, the act of engaging in conversation reminds me how differently we all think. I love to listen to someone with a completely different perspective from my own, explaining his case with supporting details and logic. It makes me think about how much out there I have not even begun to consider. Getting away from my preconceived notions helps make my search that much better. I have been reading a large amount of subject matter literature on the environment and sustainability. Though it has been two years since I was last enrolled in any formal education, my desire to learn new things is more intense than ever. Not only has this been a great way to vary my activity over the course of the day, I have noticed the concepts I am absorbing are beginning to show up in the answers I give during interviews. I have even caught myself putting my own interviewers on the spot, asking them pointed questions about their respective areas of expertise. This is an opportunity to learn a few new things and it creates a more peer-to-peer dynamic for the whole interview. Though I have been picking up Mandarin conversational ability off and on for the past few years, in the last several months I switched to a more intense schedule of daily practice with speaking and reading. Though the grammar is not as complicated as English, the preponderance of homophones, lack of Latin or Greek based cognates, consonant and vowel sounds not found in any Western language, and especially the writing make learning it no small task. Sometimes I can hear the gears grinding in my head, though this could also be my jaw revolting from too much unfamiliar contortion. Either way, I think it’s a good thing. Though fluency will likely be many years away, the feeling of expansion through struggle is something for which I hope I never lose my appetite. 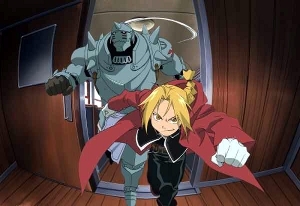 In the manga and anime Fullmetal Alchemist, brothers Edward and Alphonse Elric set out to learn the “truths” related to several aspects of the world in which they live. They ultimately do not find answers or solutions for everything they sought, and when they reached what they had thought to be their goal they discovered the search had only revealed more questions. What turned out to be most meaningful was how much they had learned and grown, all of the people they befriended and helped along the way, and how much those people contributed to their maturation and aided them in times of need. I many ways, I think my journey should not be much unlike theirs. It will not always be straight, nor will it be easy. I might not find what I thought I was seeking, but the people I meet and experiences I have along they way will ensure that I am never at a loss for ideas about where to go and what to try next. Clearing the Way Making the Green Grade Just Getting Started Ni hui shuo Zhongwen ma? I love the analogy for your job search, Michael. So often I think our careers in general end up being about something entirely different than what we imagined them to be about. It’s only in hindsight that we can fully connect the dots. Don’t knock those cartoons as a learning experience. Where do you think your early interest in classical music came from?